This Shimla Manali tour package from New Delhi is a perfect tour to explore the magnificent hill stations of Manali and Shimla in Himachal Pradesh. This package also covers the wonderful places like Dharamshala and Dalhousie. So if you are looking for a holiday package to explore the beautiful hill stations of Himachal Pradesh, then see and experience the mesmerizing beauty with this tour. Come and enjoy this Shimla Manali package with your family and friends. On arrival at Kochi Airport / Ernakulam station / Kottayam station, check-in the hotel. Pick up from Delhi International Airport or New Delhi Railway station. Our representative will meet and greet you. You will be taken to the hotel in Delhi for relaxation. You may also choose your journey to Chandigarh by road straight away. After breakfast we proceed to full day sightseeing of Shimla. You will be visitng famous tourist places like The Mall, Sankatmochan Temple, Jakhoo Temple and The Ridge. Enjoy the beautiful sights of Shimla with your family and friends. Indulge in shopping for handicrafts and leather items in Shimla. In the evening, you will have dinner at the hotel and overnight stay. In the morning, you will be leaving for Manali by Road in a fully A/C vehicle. Manali is located at a distance of 270 KM from Shimla. You will cover this beautiful journey in a fully air-conditioned car. This route takes around 7 to 8 hours for reaching Manali. After reaching Manali, have your evening dinner at the hotel. After early breakfast at the hotel. 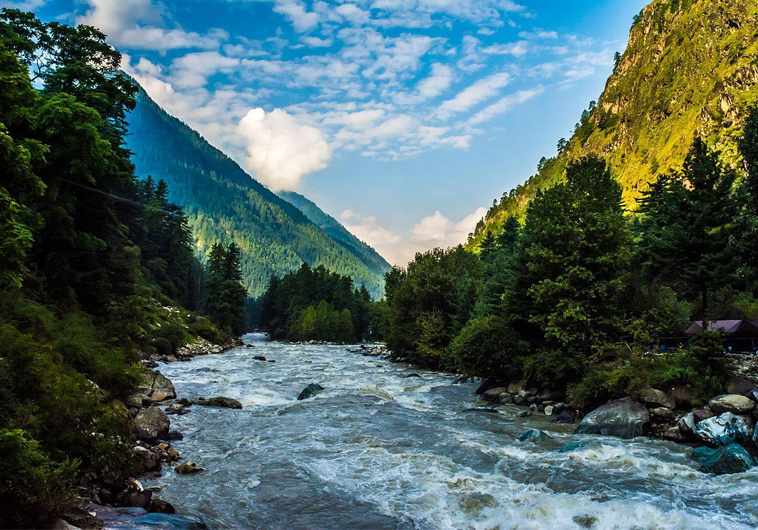 You proceed further for a full day sightseeing tour of Manali. Rohtang Pass is a known paradise for trekking in Manali. Adventures people can opt for trekking and other can simply enjoy the cool weather with snow. Rohtang Pass is 51 kilometers from Manali. Solan Valley, Hadimba Devi Temple and Gadhan Thekchhokling Gompa are some of the famous attractions of Manali that you will be visiting. Early morning breakfast at the hotel followed by a local sightseeing tour of Manali. You will be visiting famous tourist places in Manali like Vashisht Baths, Rohtang Pass, Arjun Gufa, Tibetan Temple and Manu Temple. Keep on exploring various attractions in Manali with sightseeing option. Evening is free for shopping. You can shop at the Mall Road for handicrafts and leather items. Stay overnight at the hotel. After early breakfast at the hotel, you will proceed for Dharamshala by road. Your journey starts for Dharamshala which is located distance of 260 KM from Shimla. Enjoy this beautiful journey by road from Shimla to Dharamshala. On Reaching Dharamshala, check into the hotel. Enjoy the tasty evening dinner at the hotel. Overnight stay will be at the hotel. Early morning breakfast at the hotel in Dharamshala. The day tour starts with local sightseeing of places in and around Dharamshala. You will get a chance to see McLeodganj and Palampur. Enjoy sightseeing in and around Dharmshala. After breakfast we proceed for Dalhousie (140 kms/5 hours) by Road. Visit some famous places in Dalhousir like Sat Dhara, Shubhash Baoli and Panjpulla in evening. Return back to the hotel for Overnight stay. After early breakfast at the hotel, you will proceed for a road trip to Khajjair and Chamba. Khajjair and Chamba are full of natural beauty in blissful state of Himachal. You will get a chance to see and explore beautiful valleys of Chamba region. Stay Overnight in a hotel at Dalhousie. Check out from hotel and proceed for Delhi via Chandigarh route in an A/C car.